Nearly 70 percent of employees believe that robotics and automation offer the opportunity to qualify for higher skilled work. This is the result of a worldwide automatica survey of 7,000 employees in seven countries. The technological change calls for targeted training and further education for employees. 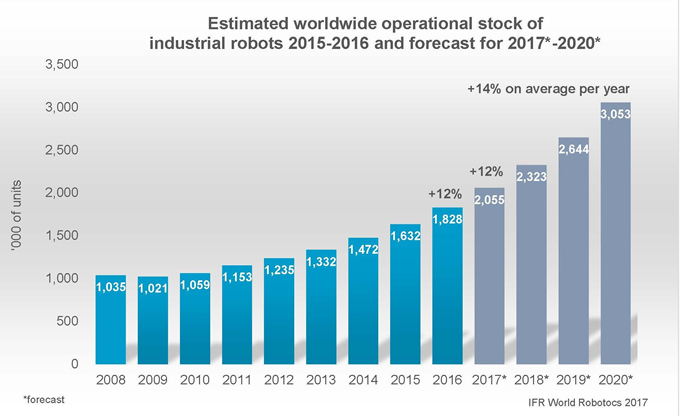 More than 3 million industrial robots will be in use in factories around the world by 2020. This means that the operational stock will more than double within seven years (2014-2020).